The House of Creed is making its play for Millennial women. Known for its cult best-selling men's fragrance Aventus, Creed, which is more than 255 years old, is releasing a perfume for women called Floralie. 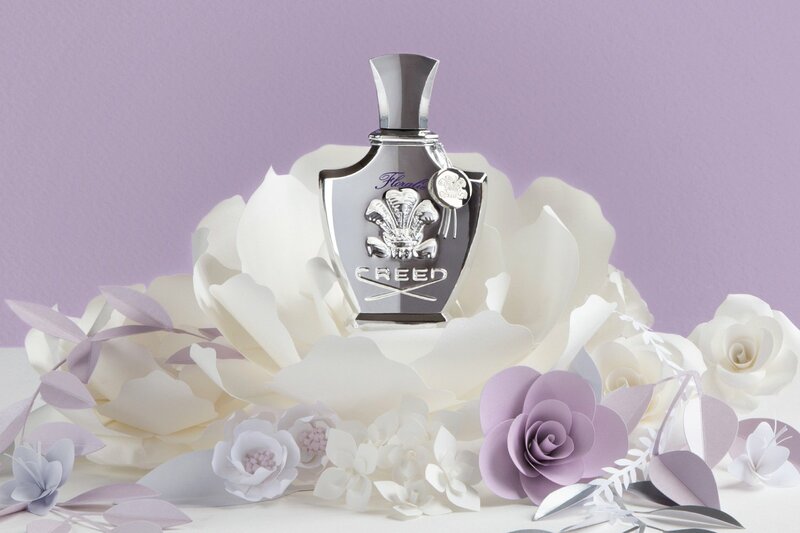 The scent, an homage to Creed's 20-plus-year partnership with Neiman Marcus, is part of the house's strategy to expand its women's fragrance division. It also comes with a digital storytelling series geared toward a younger, more social media savvy consumer. "We’re trying to get more in the women’s world," said Thomas Saujet, cofounder and president of International Cosmetics and Perfumes Inc. "The purpose of Floralie strategically is to capture a female customer, which we are still trying to build upon, and two, to capture a younger, more modern customer, which is what Floralie is about." "This is the second major launch in two years," said Emmanuel Saujet, cofounder and chief executive officer of ICP. "Luxury is the language that we want everyone to speak in our company. We try to be aligned and think about the three pillars of what makes this brand so great: craftsmanship, quality and heritage." Floralie will retail exclusively at Neiman Marcus and Bergdorf Goodman for $415 for a 75-ml. bottle. The presale, which runs until Aug. 11, features limited-edition bottles designed in part by Dallas-based artist Taelor Fisher. The bottles are numbered one through 1907, the year Neiman's was founded, and to further celebrate the Neiman Marcus partnership, Creed will donate 5 percent of the proceeds from sales to the Heart of Neiman Marcus Foundation, which supports youth arts education across the country. Men's fragrances make up 70 percent of Creed's business, and the house is hoping to increase its women's fragrance division to account for 35 to 40 percent. Thomas and Emmanuel declined to talk sales figures, but, as previously reported, industry sources estimate that Creed will reach $190 million by the end of 2018. Floralie is expected to do $5 million at retail in its first year. As part of its goal to reach a younger audience, Creed is unveiling a 10-part video series that will follow the making of Floralie and include interviews with master perfumer Olivier Creed and Fisher, among others. The series will live on Creed's web site and social channels, as well as Neiman Marcus'. Creed did a similar series for the 2016 release of Aventus for Her and received an "incredible" response, according to Thomas. ", the consumer gets to see how the fragrance was made," he said. "We have videos of going to different parts of the world, handpicking the Bulgarian rose, the whole process-making. That's what the consumer today is looking for. They are mesmerized to see Creed speaking about the creation." Creed has three brick-and-mortar stores — New York, Las Vegas and Miami — and will open its first West Coast boutique on Sept. 1 in Beverly Hills. On Sept. 4, Creed will relaunch its web site, which Thomas said is its "number-one store in North America." The new design will allow the company to better its customer followup experience and will include a live chat option. Thomas said Creed's online business has grown significantly since last year. The company is also seeing growth on social media — particularly Instagram, where fans of the brand generate nearly 400 pieces of original content per month. "Our online business this past year has grown 55 percent over last year on our creedboutique.com site. For spring 2018, we grew 62 percent," Thomas said. "It’s growing at a very rapid pace, so having a new site and being able to continue in that direction is very exciting for us."